I have been traveling for the past week spending time in Northern New Mexico and painting. I was able to take a life drawing class which I had not done since college. I added another painting to my warbler series. 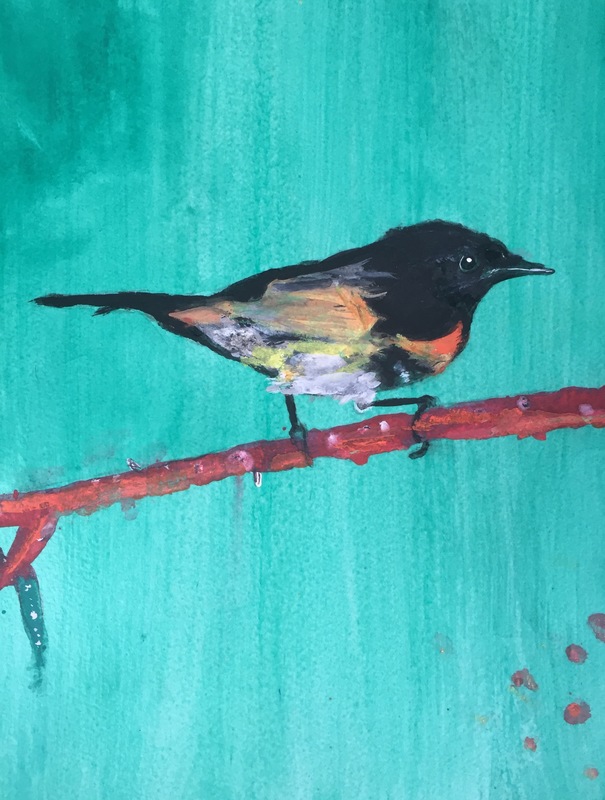 Here is my take on an American Redstart. This one is Mixed Media on paper, 12 x 12 inches and titled “American Red White and Blue Start”. The original will be available as will prints at Cloud Tree Studios and Gallery. Don’t miss the The Secret Series show at Cloud Tree May 12th- 14th. The second show mantra is “Objects”. Mine is a handmade book containing secrets left inside and written at the opening and over weekend. We are burning the book Sunday when the show closes! 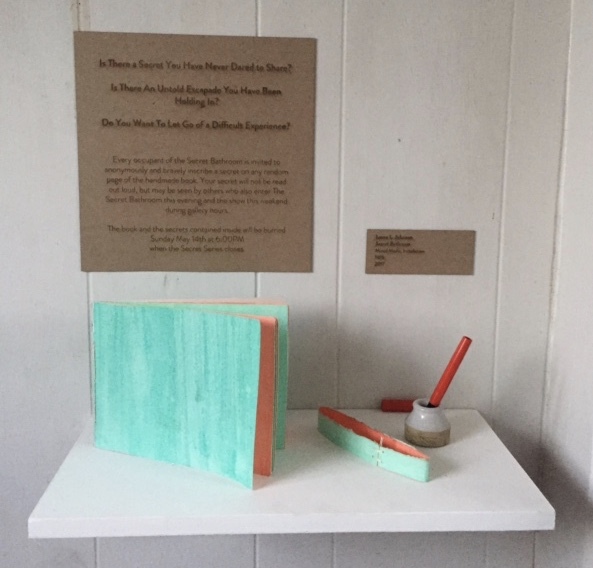 Many other Artists with beautiful, functional, funny objects. Opening reception Fri. 5-12-17, 6pm-10pm at Cloud Tree.